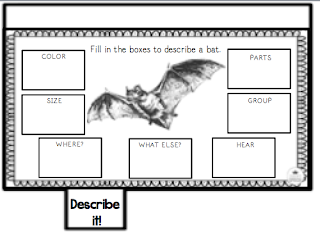 Speechie Freebies: All About Bats Interactive Flip-Book FREEBIE! Hello! Happy Mid-October! Already? I know, I know! To help you get into the spirit of the Fall Season, here is an interactive, easy to prep, black and white only flip-book that is you guess it!! 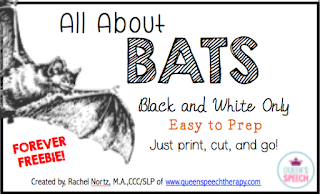 All About Bats! The books can be adjusted for level of difficulty. 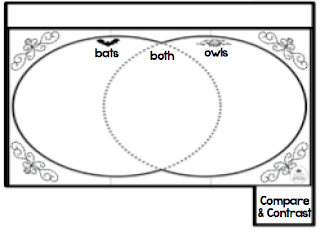 Example: sequencing carving a pumpkin page OR retell page with first, next, last. You can choose to pick one of these pages or use them both! It's up to you! They are great for use across multiple sessions, and then once complete can be taken home for carry-over! 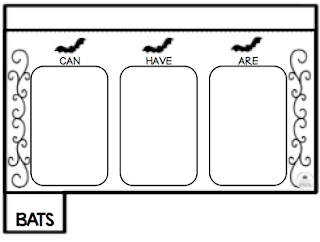 Perfect for targeting multiple goals: vocabulary, expressive language, receptive language, story retell, fact/opinion, sequencing, following directions, describing, compare/contrast etc. 5 pages with the option for a 6th page. Not all pages are shown here, you have to go check it out!